We’re fast approaching the most anticipated computer game time of the year, E3 2014 is a few weeks away and already bombshells are being dropped such as the re-releases of Pokemon Ruby & Sapphire and Kinnect less bundle reported here. Well Nintendo have announced their plans for the event this year. Unfortunately like last year they will not be taking part in the on stage presentations, but have other things planned to showcase their upcoming plans for the year and further. REDMOND, Wash., April 29, 2014 – Over the last few years, Nintendo has repeatedly reinvented its approach to E3 by creating unique ways to break news and get fans at home involved in the fun, while also offering great experiences for on-site attendees. That mission continues in 2014 as Nintendo offers a series of new channels to communicate news directly to its key audiences, including fans, media, analysts, investors and business partners. This includes a new format for unveiling news: the Nintendo Digital Event; a Super Smash Bros. tournament; a full slate of live, in-depth game demos from the Nintendo booth; and an opportunity for fans to play Super Smash Bros. for Wii U for the first time at their local Best Buy. 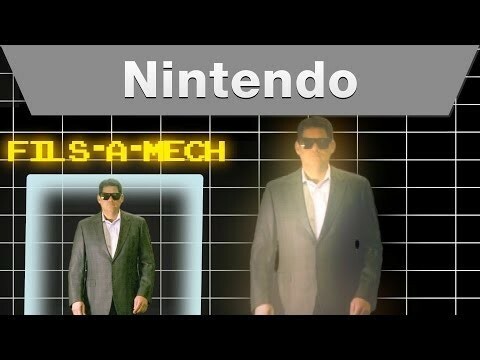 So it’s another E3 without a stage presentation from Nintendo, And rather than a Nintendo Direct like last year, they’re opting to give us all our news and info in a “Digital Event Presentation” which I’m almost sure is just another fancy name for a Nintendo Direct. Can Nintendo deliver the good this year? Can they do anything to turn around the Wii U fortunes? Will we see anything related to their QOL platform? We’ll find out on June 10th.